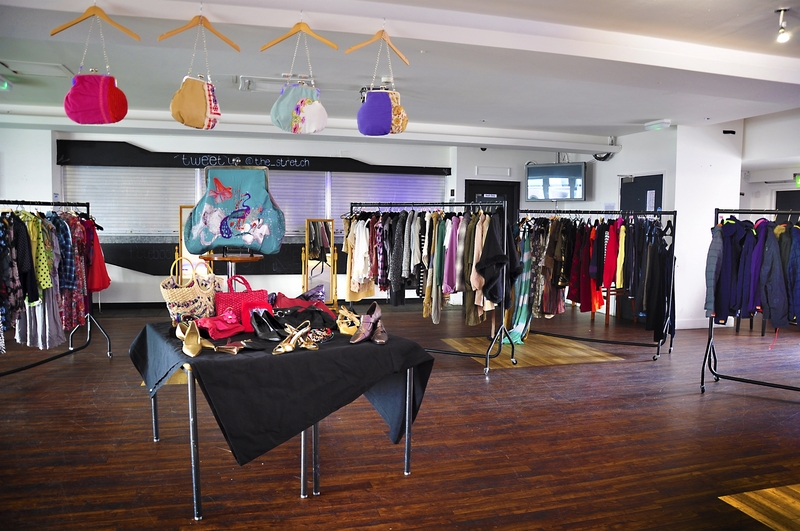 In the UK, we throw away over a million tonnes of textiles every year. All of it could have been reused or recycled instead of going to waste. 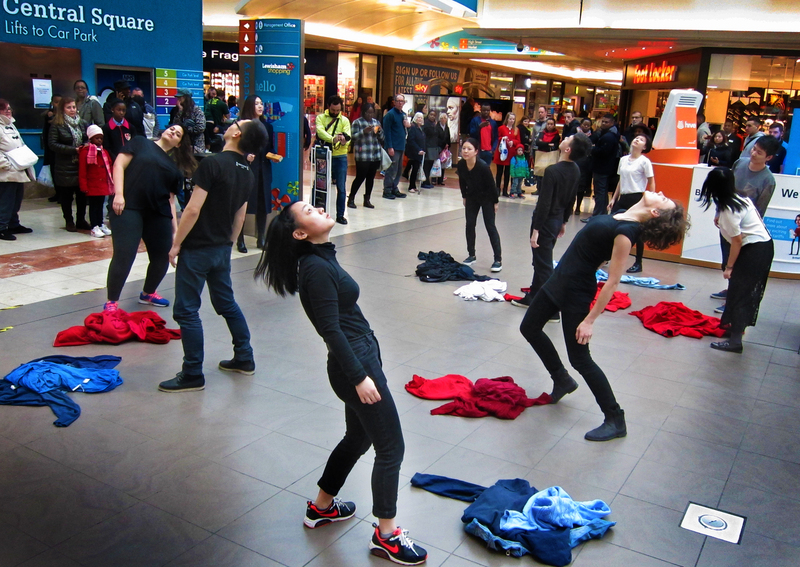 Lewisham Council and Goldsmiths University students joined forces to raise awareness of this issue, and as part of the campaign, came up with the crazy idea of performing a flash mob while creating an art instalment at the Lewisham Shopping Centre, which took place on the 14th of March 2015. 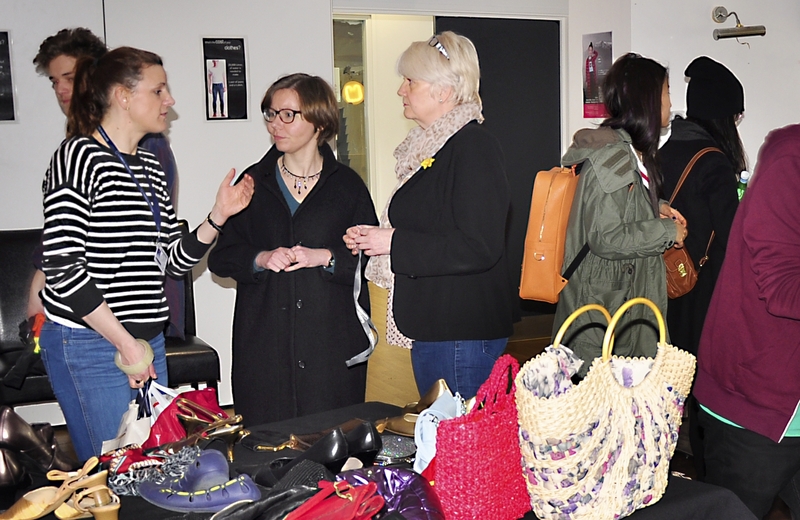 The students, coming from a range of backgrounds had no experience in performance or flash mobs but managed to catch the eye of over 200 onlookers and after each performance talked with residents about how they can upcycle, reuse or recycle textiles. 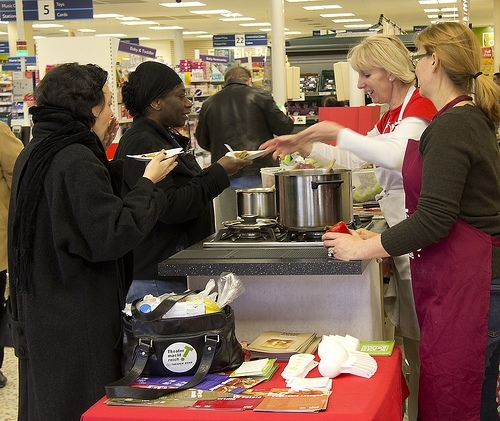 Once the flash mob completed their routine, shoppers had the opportunity to find out what was going on and approached the Goldsmith’s students. 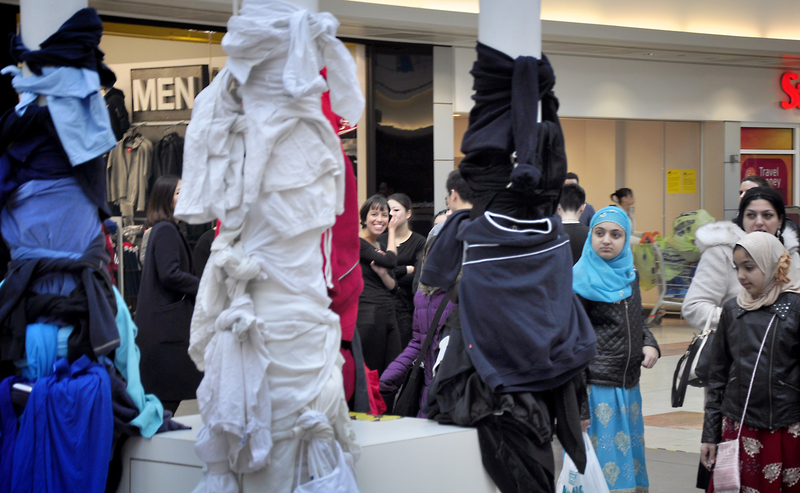 Categories: Textiles | Tags: Bring banks for textiles, falsh mob, flash mob in Lewisham shopping centre, goldsmiths, Lewisham Shopping Centre, LM Barry textiles, Recycling in Lewisham Shopping centre, Recycling textiles in Lewisham, textile recycling, textiles | Permalink. 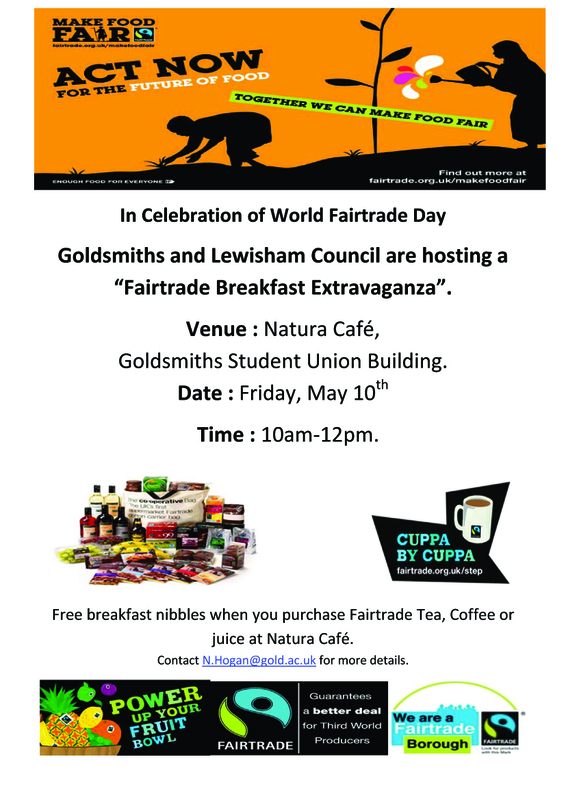 Categories: community engagement | Tags: Fairtrade, Fairtrade Breakfast Extravanga, Goldsmith's Student Union Building, goldsmiths, goldsmiths college, Goldsmiths University, Natura Cafe, World Fairtrade Day | Permalink. Students at Goldsmiths College, New Cross produced this excellent video as part of their final year Media and Communications project. It discusses the fact that in the UK we throw away 8.3 million tonnes of food waste every year and highlights the issues associated with this in terms of the huge waste of resources. The video features interviews with food waste experts including our very own Waste Prevention Officers – Kristina Binns and David Brinson (torso only), as well as students from St Augustines R.C Primary School. For tips on what can and can’t be frozen, portion sizes, better food storage to make your food last longer, hundreds of recipes to inspire you and help use up your leftovers visit the www.lovefoodhatewaste.com website. 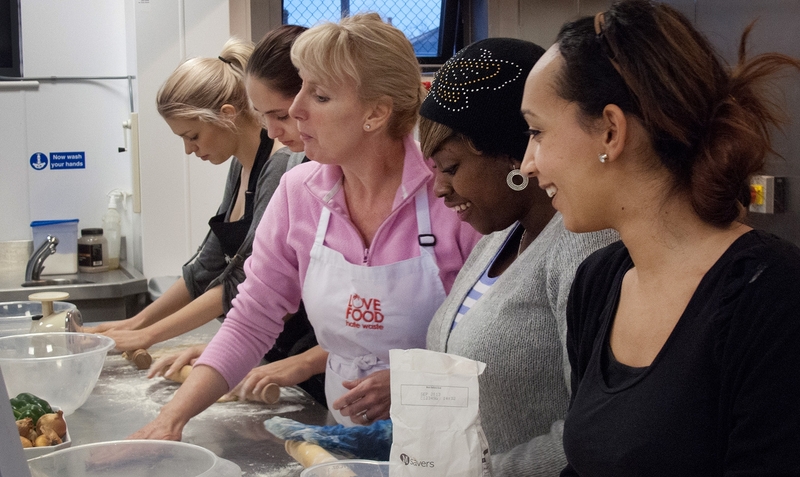 Categories: community engagement, Environmental Campaigns, Food waste, waste minimisation | Tags: food storage, food waste, goldsmiths, goldsmiths college, leftovers, lewisham, love food hate waste, new cross | Permalink.